William Hendry died 1st January 1894 aged 34. Georgina Hendry died 4th February 1890 aged 34. Roderick Gillies Hendry died 5th September 1888 aged 1. 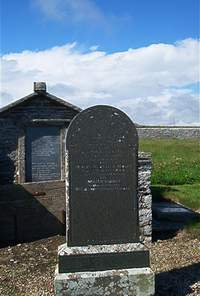 Donald Hendry of Hillhead Lybster died 12th May 1932 aged 75.